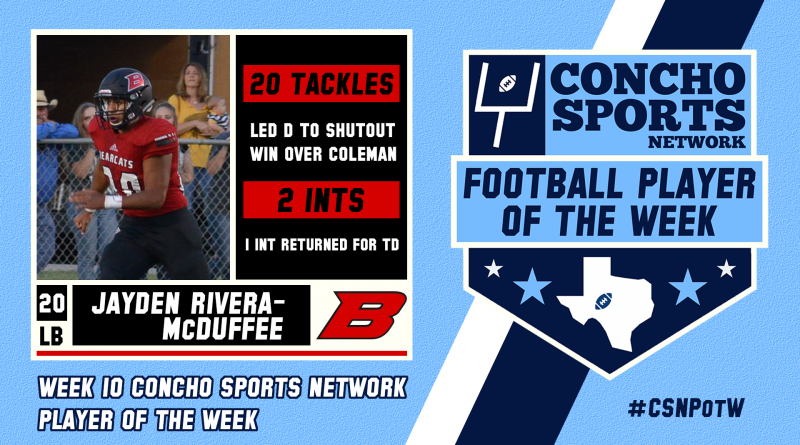 Congratulations to Ballinger Bearcats middle linebacker Jayden Rivera-McDuffee on being named the week 10 Concho Sports Network Player of the Week! Jayden racked up an eye-popping 20 tackles to go along with two interceptions – returning one for a touchdown – in their 41-0 shutout win over Coleman. 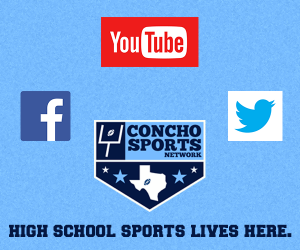 Congratulations again to Jayden Rivera-McDuffee!